If you own 1 or more websites and want to sell banner top and bottom sponsor banner ads then this tool can be one of the best tool for you . 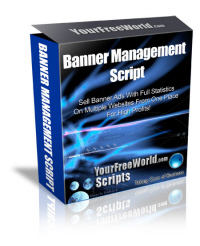 Our Banner Management script allows you to sell banner ads on multiple websites from 1 place only. You can provide your advertisers with real time stats of impressions and hits. 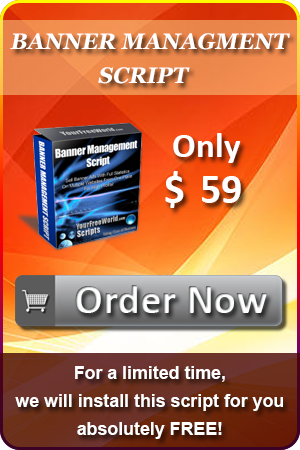 And the best thing is that if you will buy it now you will get this script for just $59.